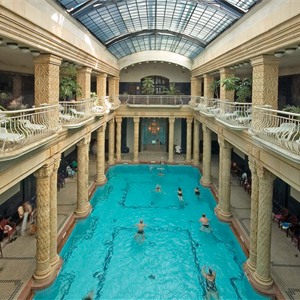 Entry: Gellert Spa is open from 6AM to 8PM. Guests may enter between 9AM and 6PM, however they may stay until closing time. The bathing facility standing here today is the most prestigious one in Budapest, visitable during any time of the year. The fast track entry tickets provide VIP entrance, so you will be able to avoid queues and relax in a luxurious environment. The large variety of treatments and Thai massages will make your experience even more relaxing.